A photo released by North Korea’s state news agency in April 2016 purported to show a submarine-launched ballistic missile test. HONG KONG — Amid fears that North Korea is rapidly developing its submarine-launched ballistic missile technology, the United States, Japan and South Korea are teaming up for a drill to track such hard-to-detect missiles, military officials said Monday. The drill is taking place over two days in waters between Japan and the Korean Peninsula, said South Korea’s Joint Chiefs of Staff, and will involve destroyers from the three nations doing computer-simulated training to track submarine missile launchings by North Korea. The drills come in the wake of news reports that North Korea is making progress developing submarine-launched ballistic missiles, or SLBMs. The website 38 North, based at the U.S.-Korea Institute at Johns Hopkins University, obtained images of cylindrical objects, evidence that “suggests construction of a new submarine” at a facility on North Korea’s east coast. 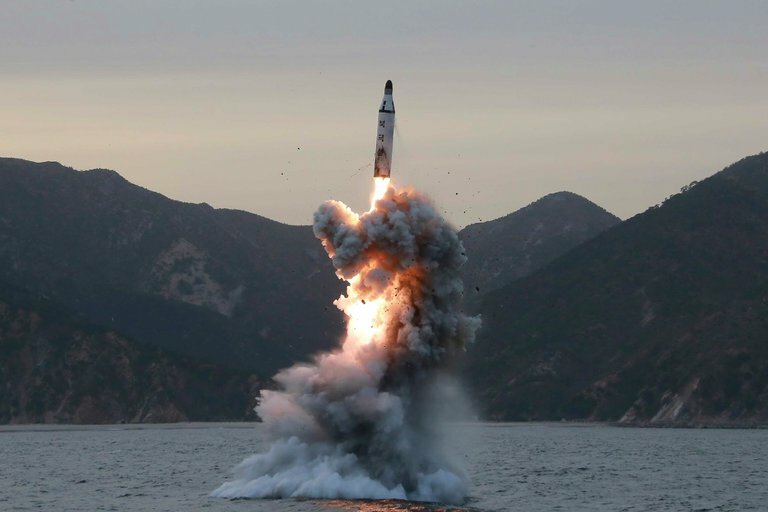 Any North Korean capability to field submarine-launched ballistic missiles in open waters would be particularly worrying for the United States and its allies, since such missiles are hard to detect before launching. In August 2016, North Korea successfully tested such a missile from near its submarine base in Sinpo, sending it 310 miles toward Japan in a launch that came after several failed tests. To step up pressure, South Korea on Monday imposed a new round of sanctions on 20 North Korean groups and 12 individuals. The sanctions, an effort to curtail North Korea’s missile and nuclear weapons programs, were imposed in retaliation for the North’s launching of a missile in late November that experts said was capable of hitting much of the continental United States. The Year in Style: Can Parents ‘Robot-Proof’ Their Child’s Job Future?